We Buy/Sell Gaylord Boxes AR. We have an abundance of boxes of all strengths and sizes across the continental United States. Simply complete the box buyer form below and we will have your request sourced immediately. We offer a complimentary used gaylord box pick up for customers located anywhere in the United States. We will pick up all of your unwanted inventory 100% free of charge. If you have used gaylord boxes that are in good condition, we will happily purchase them from you. We compensate vendors for each box they can provide, no matter the size or strength. 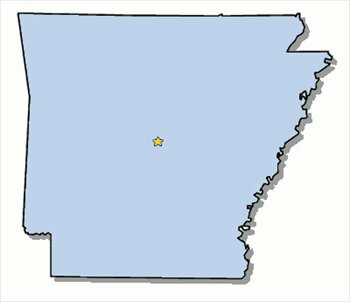 We are actively seeking connections in the state of Arkansas. While we have yet to establish any first hand connections within the state, we have ample connections in the bordering states of Texas, Oklahoma, Louisiana, Missouri, Mississippi, and Tennessee. We are fully capable of fulfilling all of your boxing needs anywhere throughout the state, with minimal freight costs. If you have any recycled cardboard or lightly used gaylord boxes that need to be disposed of, we urge you to fill out the used cardboard removal form. We will happily pick up your inventory free of charge, and we will also cover any and all freight costs. Additionally, if your gaylord boxes are in usable condition, and you’re looking to sell your gaylord boxes, we will happily purchase them from you. The only condition that we hold is that the boxes have to be either A or B+ grade. However, if you’re looking to buy lightly used gaylord boxes, simply complete the box buyer form, and we will promptly have your request sourced, and be in contact with you in the very near future. We look forward to doing business with you!